Capt. Neill’s Seafood is located in Columbia, North Carolina. In 1987, the owner, Phillip Carawan, designed and oversaw the building of the facility from ground-up. In 2015, he decided that it was time to expand to meet the growing demands of our market. Capt. 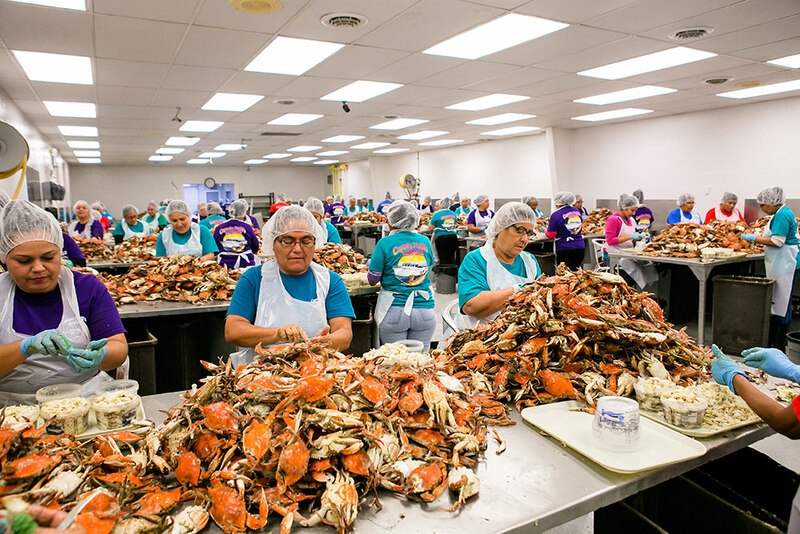 Neill’s Seafood more than doubled the size of the facility with the expansion. Our state of the art facility allows us to provide the highest quality of seafood to our customers. Maintaining a clean and safe facility is of upmost importance to us. With our expansion, we have the capability to produce high quality seafood and grow our product line. Be on the lookout for value added products coming soon! Our 1200 square feet blast freezer allows us to freeze product quickly and efficiently. We also have a large pasteurization machine that pasteurizes 2,000 lbs. of product at a time. Capt. Neill’s has ample coolers to hold all of our products. We also have a nitrogen tunnel that freezes meat below 140 F in a matter of a few minutes. At Capt. Neill’s we have the equipment to package the finished product to any customer’s specifications. In 2014 Capt. Neill’s purchased a 30-slip marina to meet the needs of our crabbers. This allows them to dock and deliver their catch at the same location. It has also allowed Capt. Neill’s to expand the number of commercial fishermen who we purchase from on a daily basis. Capt. 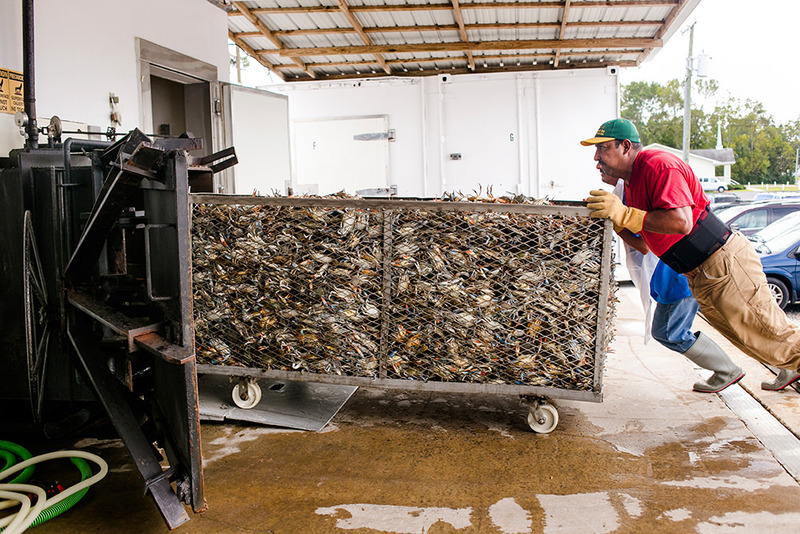 Neill’s Seafood also has a state of the art oyster processing plant. 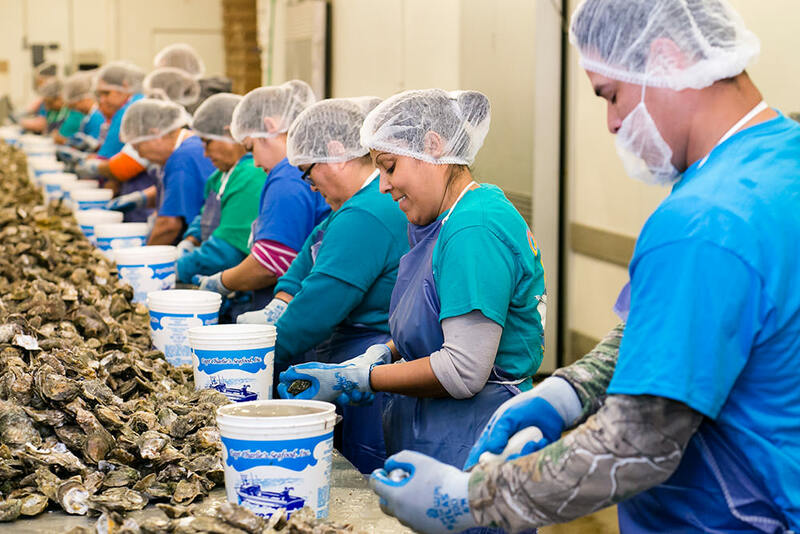 We have the capability to supply large retail chains with fresh shucked or shell-stock oysters. Our employees strive to maintain the cleanest working environment possible. They take pride in their job and work hard to produce the highest quality products.